I'm ashamed to say that I'm pretty much a newbie to restaurants in the Outer Boroughs. Brooklyn though - I'm totally loving Brooklyn lately! Other than my one bad experience, I've been having some amazeball meals in Brooklyn. 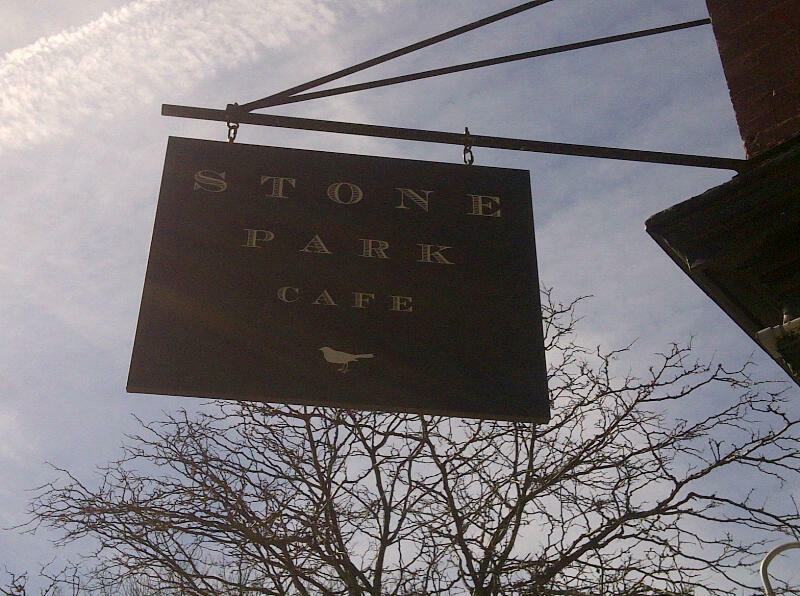 This past weekend, I stopped by Stone Park Cafe in Park Slope for brunch. First sign that it was going to be a fabulous brunch - a bulldog puppy was waiting outside! Second sign that it was going to be fabulous? A 45 minute wait even at close to 2pm. Must be good if people wait! 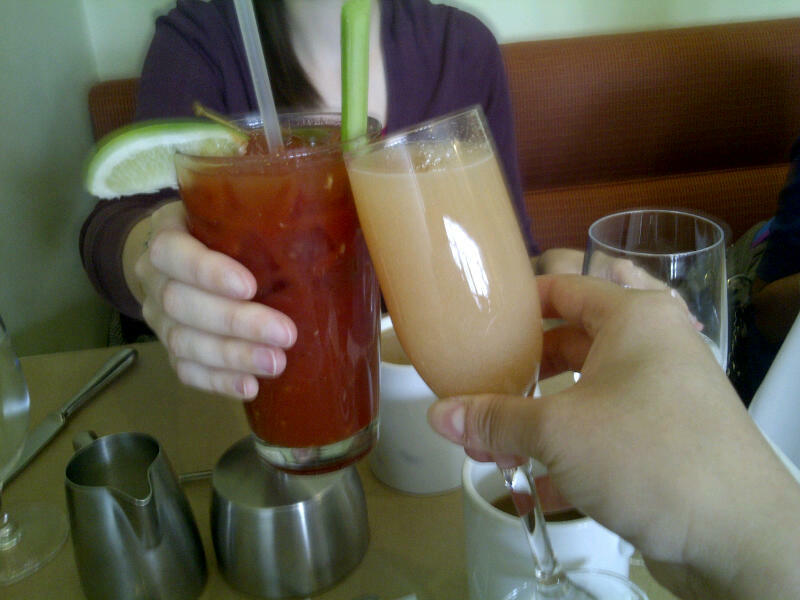 And so, a walk to Prospect Park and 45 minutes later, we were finally seated and ready to get brunch started! Stone Park Cafe offers a simple yet all encompassing menu. So much to choose from! But first order of business - coffee and drinks. No brunch is complete without some coffee (or tea!) and a Bellini for me and Bloody Mary for my eating compadre. Coffee totally hit the spot (but Stone Park Cafe only has half and half or whole milk - no skim!!!) and the drinks were tasty. Bloody Mary was HUUUUUUUGE! 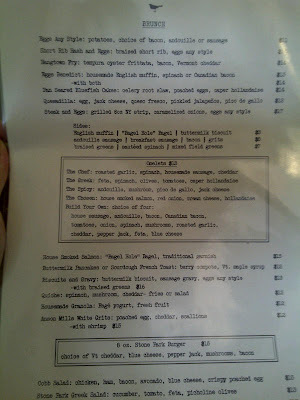 Eating compadre ordered the House Smoked Salmon and I went with the Short Rib Hash and Eggs. 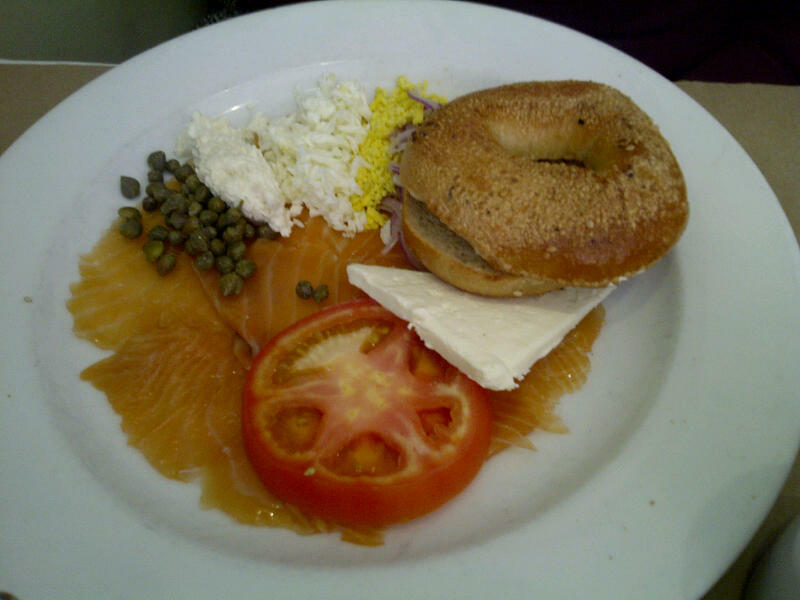 The House Smoked Salmon came with a bagel of your choice from local favorite Bagel Hole bagel shop and served with traditional garnish such as capers, cream cheese etc. 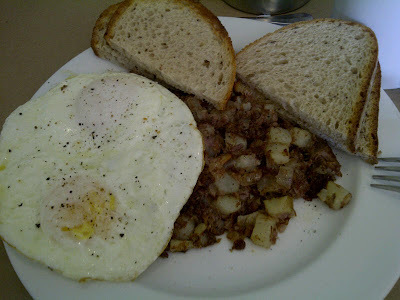 My Short Rib Hash was unbelievable and I pretty much inhaled the entire thing - including my four slices of rye toast. Something about the tender short ribs mixed with hot and gooey egg yolk all scooped onto my toast just called to me! Mmm mmmmm good! A piggy with a full belly, I already can't wait to come back for brunch again. Although next time I'll try to snag a coveted reservation slot or just stick with my usual brunch approach and roll in super duper early. Until next time Stone Park Cafe!